Premature Nostalgia: I can't change my face. . .
. . .but I can change my hair. 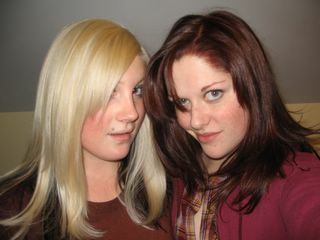 Brie and I both went to get our hair done today, and tried out the new look with patented Paris Hilton poses. I really should be studying for my finals right now. 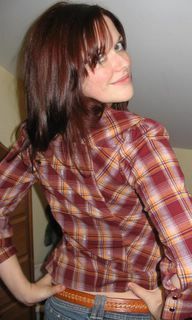 Wow, bangs. You look hot girl!